Immersed in the heart of Tuscany, between the provinces of Siena, Arezzo and Florence, in the splendid hills that frame your holiday, a few kilometers from the most famous central spas, for you to enjoy a holiday of sport, relaxation, history and art, italian style. Breathe taking panoramas, aromas and tastes of genuine foods and excellent wines, that carry away your senses and make your realize your dreams. Enjoy a break from everyday life. 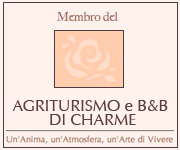 Discover ecotourism in one of the most beautiful corner of Italy. A walk, for which we can supply our written guide. Short excursions, for which we can supply our small written guide, which we call ‘around us’. Excursion by bike, is a really easy way for visiting our hills. Rapolano Spa, 10 minutes by car, with its modern plants at Antica Querciolaia and San Giovanni. The medieval city of Siena is 20 minutes by car. The Chianti area which extends in the directions of Florence for more than 50km.